Do you remember the last time you inspected the state of your metal roof? We all know how hard it is to regularly check your roof because of busy schedules, but this does not mean that you can entirely neglect the maintenance of your roof. Here is a list of DIY maintenance that won’t require too much effort on your part. Watch out for flashing points. The elements of nature and shifting in the structure may result to separation of the flashing seams over time. If these are not checked they may weaken the structure of the roof and produce leakage. To prevent this, regularly check flashing points like vertical walls, vent pipes and chimneys. Flashing points may need fresh caulking, especially if your roof is already old. One of the most common causes of leakage is a dirty gutter. Accumulation of leaves and twigs will prevent the passage of rainwater towards the drainpipes. This will lead to backflow of the water that will damage the structure of the gutter. Removing debris from your gutter will only take about an hour or so. Always check your metal roof for the presence of moss or mold. Most metal roofs that are available in the market have warranties. However, you should still maintain your roof to be always free from debris that encourages the growth of moss and mold. Concentrate on critical areas like roof penetrations or valleys. You can use a garden hose to clean these areas. Protect your metal roof from rusting. Rust is one of the greatest enemies of metal roofs. If you spot any rust developing in your roof and it is still small, you can use a commercial rust remover to repair the area. Once the rust is removed, prevent the corrosion from spreading by making use of a metal roof paint or liquid sealant. Severe damages caused by rust may already require roof replacement. Check for the presence of loose nails. Nails may loosen because of time or shifting in the roof’s structure. Remove the loose nails and insert new ones onto a new hole. If you want to use the old hole, fill it first with roofing cement or sealant before inserting the new nail. Metal roof maintenance is very essential if you want to prolong its lifespan. 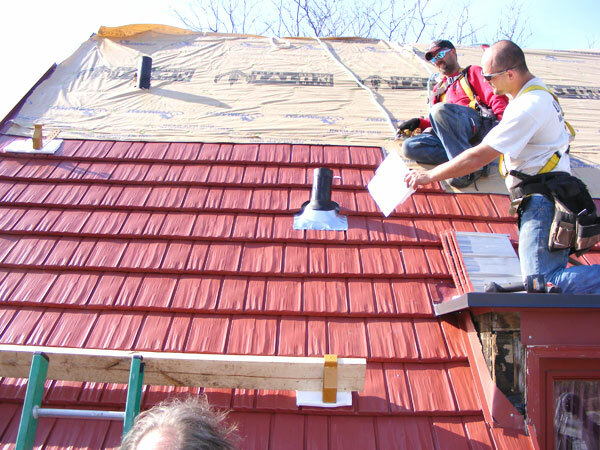 If you want to spare yourself from the hassle, then it is best that you contact a professional roofing company to help you in maintaining your metal roof.